Our custom tiny home process. Read more below . . .
Ready to build your custom tiny home with Wind River Tiny Homes? In this post we walk through what you can expect during our custom process from initial contact to when we start building. On our Contact us web-page there is a Build with us form. The form email gives us basic info we need to get started on your tiny home. Be sure to fill out the build form. Other forms on our contact page won't get us off on the right foot for a build project. Filling out this form sends an email to our inbox. We are constantly working on quotes for custom tiny homes. Each one is unique. After we get your email from Step 1, we'll reach out and guide you through the custom quote process. It's $100 to get your quote scheduled in our queue. We'll send you an email with how to pay the quote fee and also a quote checklist that walks you through telling us all about your custom tiny home ideas. 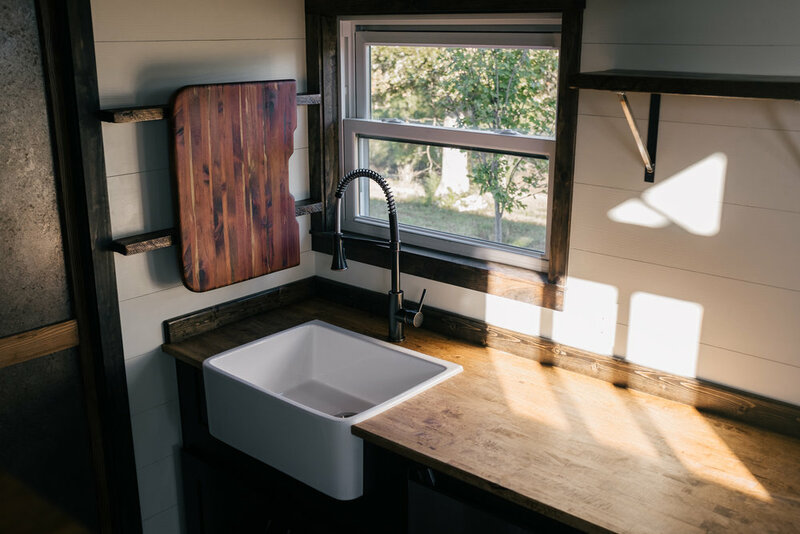 The custom quote gets you (a) a full list of features, specs, and components of the custom tiny house (b) formal pricing from us that you can use for budgeting or financing (c) a design consultation, usually over the phone. Renderings, floor plans, or other construction documents are not included in the quote. However, we understand that some projects, especially for developers or businesses, may require a full proposal before a contract (Step 3, see below). We're happy to assist with that and we have partners who can do construction documents and/or renderings. Depending on the scope of the project, we may charge a design fee. During the quoting process we get to know each other. Establishing best fit is important. Are we the right builder for you? Do we have the skills to do your custom project? We will be transparent so that you can have these questions answered. If the answer is yes, we can move forward with your tiny home! We have a build contract that we are happy to share with you in advance so that you can read it over. We are happy to answer any questions you have about the contact. This is an important step because it clearly sets expectations for you and us. We love this part! We collaborate with you to bring your tiny home project to life. It starts with a floor plan. We can take any back-of-the-napkin sketch and turn it into a floor plan. We'll be sure to get everything from your custom quote into the floor plan. When the floor plan has solidified, we'll order your trailer! Windows, finishes, appliances, and colors - we collaborate and communicate with you along the way. You can be as hands off (send us your Pinterest board and we'll run with it) or as hands on (send us your lookbook and lists) as you want. Step 5 Let's start building! While we build we are happy to share updates on progress with you. For custom tiny homes we usually try to reach out once a week during construction. Some phases of the build are slower than others so less than once a week or more than once a week might more sense. We enjoy watching tiny homes come to life!